Those of you who follow me on Instagram may remember this Givenchy Poudre Premiere Mat&Translucent-finish Loose powder. This is my very first Givenchy makeup product and I was excited to give it a try. The product label claims that this transparent, featherlike, superfine, loose finishing powder applies completely sheer, and gives skin an even, matte, and naturally radiant complexion. And, I have to agree with everything it claims. Yes, this is one of those rare cases when I agree with everything the product claims. I have used many high end powders from Lancome to YSL to Chanel, but this Givenchy Poudre Premiere Mat & Translucent-finish Loose powder is the first powder that feels absolutely luxurious from the moment you open its gorgeous black enamel case to the minutes you apply it with its microfiber powder puff, on your skin. This Givenchy loose powder is really superfine, that has a very pleasant, luxurious smell. I apply over my liquid foundation and it gives my skin natural, airbrushed finish. I noticed that since I started using this powder I no longer apply too much powder to set my liquid foundation anymore, also, my T-zone doesn't get very oily at the end of the day, anymore. This Givenchy Poudre Premiere Mat&Translucent-finish Loose powder gives me matte finish without looking like another layer on my skin, and the number one reason I love this loose powder is that it doesn't look caky and doesn't accentuate any dry patches on my skin, and lasts all day. Yes, it's very expensive ($55.00) but I will never regret I purchased it, because it's so great that even my Bobbi Brown Moisture Rich liquid foundation, (you can read my revew here: Bobbi Brown Moisture Rich Foundation review) that made my life miserable since the day I started applying it, even that foundation made look natural on my skin. The label suggests to wear this Givenchy Poudre Premiere Mat&Translucent-finish Loose powder over the liquid foundation or on bare skin, but I, personally, prefer to wear only over the liquid foundation because this powder is sheer and it doens't make sence to me to wer it on its own, since it's translucent. 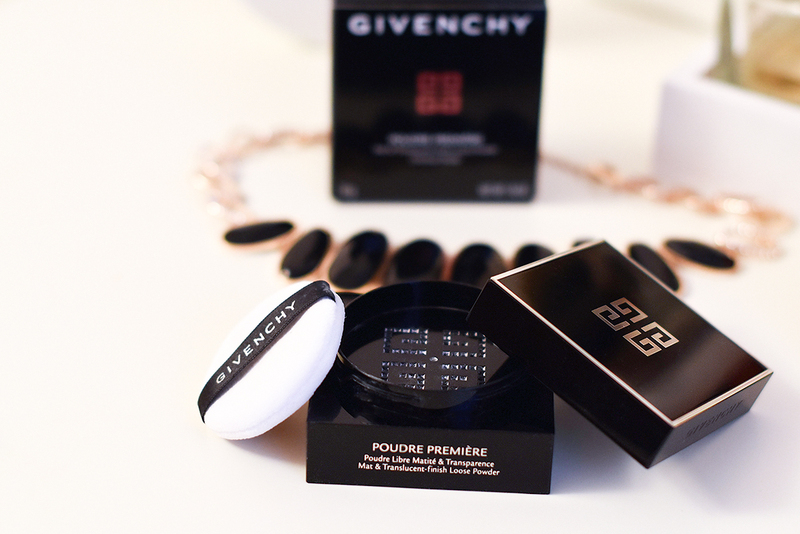 Have you tried this Givenchy Poudre Premiere Mat&Translucent-finish Loose powder ? Let me know in the comments below and have a fabulous day. Oh, so pretty! I can look at these pretties for hours. I need to try this powder! Thanks for sharing Nina. This sounds really nice. I love the packaging too! LOved your review and I will give this Givenchy translucent powder a try, definitely! I loved Laura Mercier powder, for the same reasons you mentioned here - it gives a translucent finish, not adding another layer to our faces :) Then I tried to Bobbi Brown powder and it's good, but not like LM. I am always trying to find new good powders, so this Givenchy one will be my next purchase, for sure. Thanks for that, I am really eager to try it! The packaging is gorgeous! I'm happy to know that even with the expensive price tag, this product lived up to your expectations. I am definitely adding this to my list of products to try. This powder looks great! Thanks for sharing! Amazing packaging! What a gorgeous make up collection. That necklace is fab! The packaging is always my favorite. So sleek and classic! The packaging is gorgeous! HAve you tried Laura Mercier's loose powder? How does it compare to that? Wow, the packaging is absolutely gorgeous and I'm glad it's worth the price because with higher end beauty products, it can be a hit or miss. Thanks for sharing and I hope you have a great weekend ahead! I have not tried this loose powder yet but after reading your review I definitely want to give it a try. The package is so pretty! I will definitely try this powder! Thank you for sharing! I've never used a Givenchy makeup. This may be one to try. Happy weekend! I love loose powder too! Great post, dear! I never tried Givenchy makeup but this powder sounds great! I haven't tried this powder but it sounds great. Ooh I would so love to try this!!! I've never tried their powder. Sounds wonderful and worth the price. The packaging is so gorgeous, I would expect for it to work well! Such a great review! I need to check the powder out! Thanks for sharing! This translucent powder sounds amazing!! 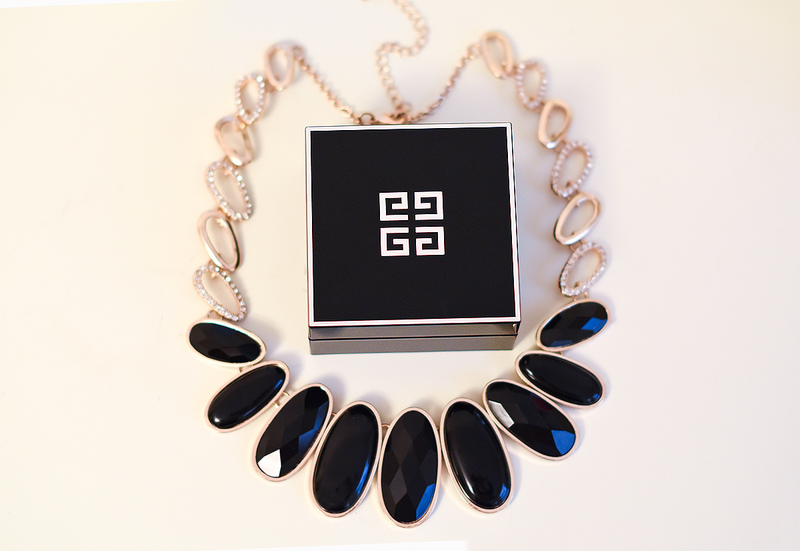 Givenchy is so luxe! A good translucent powder is a MUST! This sounds amazing! I'd love to try it!